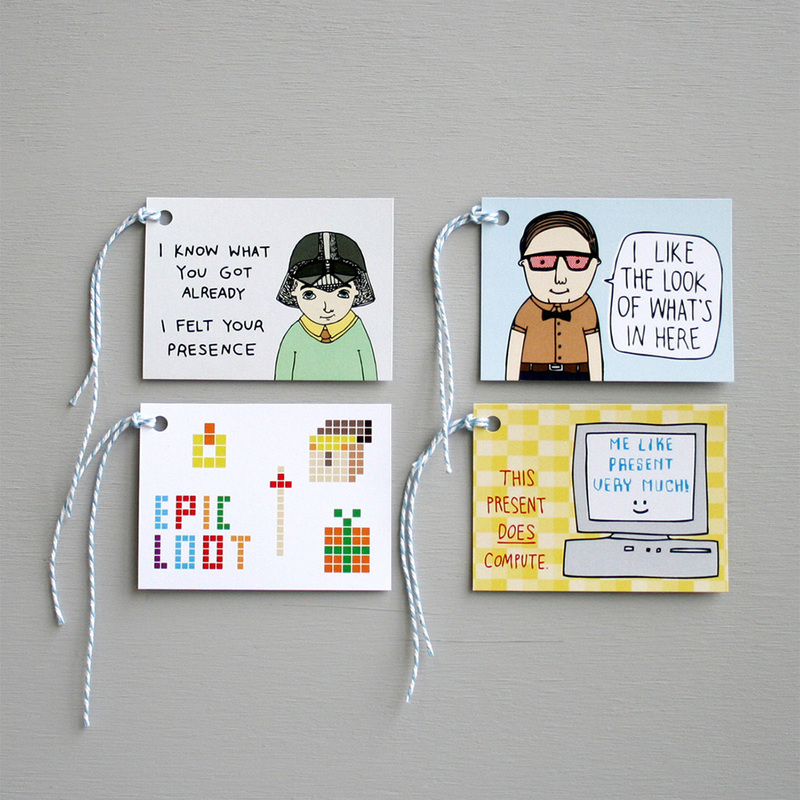 Our nerdy range of gift tags include a Star Wars reference, some x-ray specs and a couple of nods to computers and computer games. -	Each pack comes with a 2 metre length of coloured bakers twine. 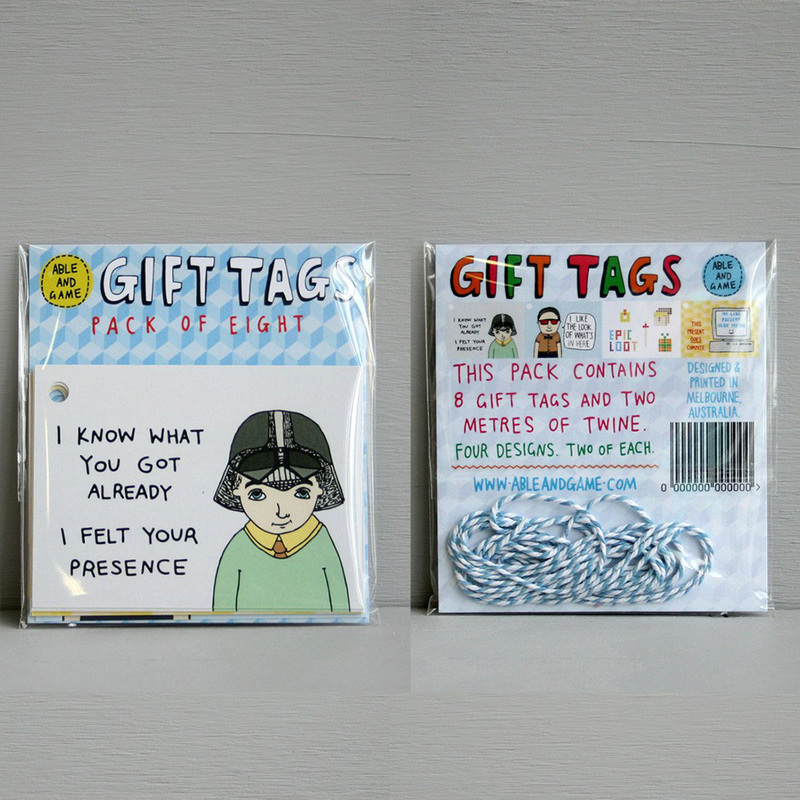 -	Each pack contains eight gift tags with four different designs. There is two of each design included in a pack. -	The tags are printed onto 300gsm recycled paper stock. -	The tags have to and from printed on the back. Each design has its own unique back. -	The tags come packaged in a cello bag for extra protection. 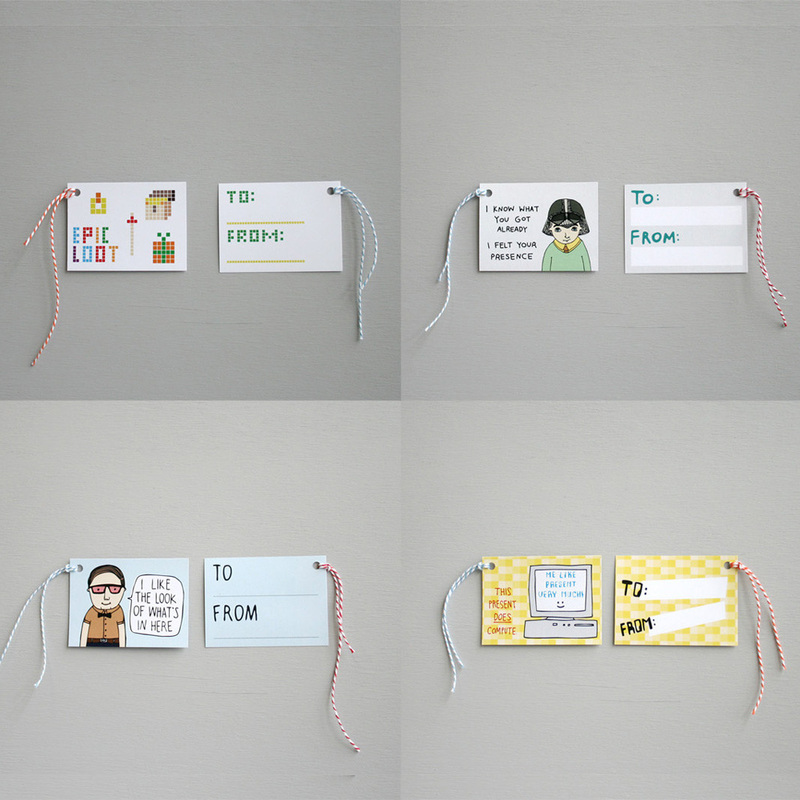 -	The tags come with a hole punched in the top left hand corner for you to string to your gift.